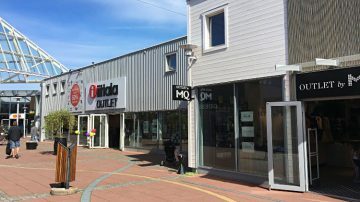 The Hede Fashion Outlet mall in Kungsbacka near Göteborg in Sweden is a large factory stores shopping center with savings and discounts on designer labels. 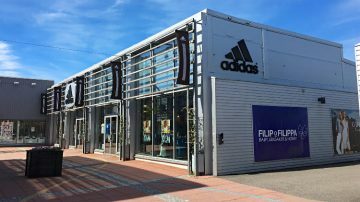 Factory store shoppers may save big on international, Scandinavian and Swedish brand names at the Hede Fashion Outlet shopping mall near Gothenburg in Sweden. Hede Fashion Outlet, previously Freeport, generally offers savings from 30 to 70% off retail prices on more than 150 brands in around 60 different shops. 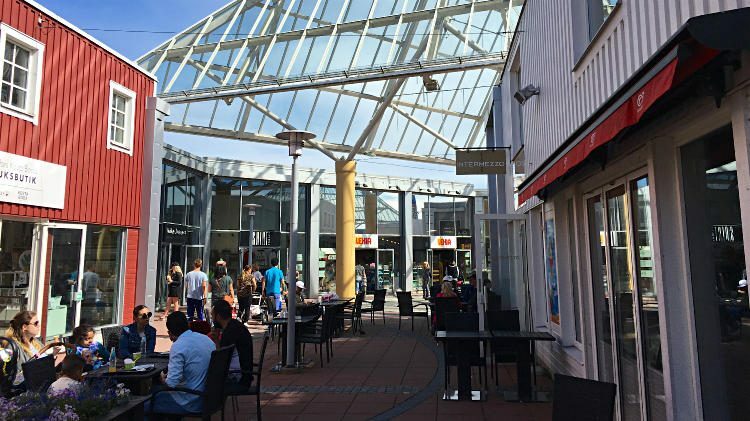 In addition to the regular clothes, shoes and accessories, the Hema outlet mall also has a large number of home and house ware stores with major European and Swedish brands selling lifestyle items at vastly reduced and bargain prices. The mall is easily reached by car or train from Gothenburg in less than half an hour. Hede Fashion Outlet to the south of Gothenburg is one of the largest factory brands outlet shopping centers in Sweden. Here discounts are available on more than 150 brands in 60 single and multi-brand stores. In addition to the usual international brands that may be found in almost any factory stores outlet mall in Europe, Hede Fashion Outlet also has a refreshingly large number of Scandinavian and Swedish brands with shops in this center. Some of the top fashion brands with own shops at the Hede Fashion Outlet include Abecita, Acne, Adidas, Desigual, Filippa K, Gant, Guess, Hugo Boss, Kaffe Cream, Norrøna, Nudie Jeans, Odd Molly, Oscar Jacobsen, Peak Performance, Polaren o Pyret, Tenson and Tommy Hilfiger. Further brands are represented in multi-brand stores, e.g. Björn Borg, Bläck, Bondelid, Dobber, Geographical Norway, NN07, Stockholm, and Stylein. Children love the play areas and the large Lekia toy store. The Lindt store sells discount Swiss chocolate. A couple of cafés make for a pleasant coffee and cake break (fika). Some fast food is available but a decent meal is better enjoyed elsewhere. The Hede Fashion Outlet shopping mall near Gothenburg has a large number of home and lifestyle brand factory stores. Hemma and Interiörhuset have a large selection of home wear and interior decoration items from a variety of brands. 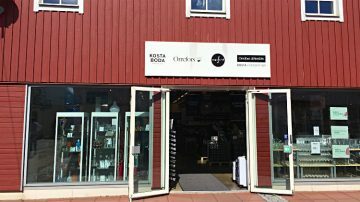 Two famous brands in Scandinavian design have large stores with glassware, cutlery, porcelain and kitchenware at factory discount prices: Iitala Outlet (including also further Finnish brands such as Fiskars, Hackman and Rörstrand) and Orrefors / Kosta Boda (including also Sagaform and Stelton). Similar savings are possible on more international brands in the Le Creuset store and the multi-brand Home and Cook (e.g. Jamie Oliver, Krups, OBM Nodica and Tefal). The Hede Fashion Outlet shopping mall is open daily from 10:00 to 19:00. The factory stores are open on Sunday and most public holidays too. Tax-free shopping is available through Global Blue for non-EU residents. Refunds are generally around 19% back on purchases over SEK200. Ask in any shop for details. Getting to the Hede Fashion Outlet, Kungsparksvägen 80, 434 39 Kungsbacka, is easy by car or public transportation. The factory outlet stores is only around 25 km to the south of Gothenburg in the northern suburbs of Kungsbacka very close to the motorway. Use exit 61 from the E6 highway. Plenty of free parking is available. Getting to the Hede fashion outlet mall is very easy by train too. Hede railway station is only two blocks from the factory stores. Trains – several per hour – take only around 20 minutes from Göteborg. Several further large stores are very close to the fashion outlet mall, e.g. Jyst, Elgiganten (consumer electronics), ICA Maxi hypermarket and a Willys Supermarket.